How do we know when corrosion has stopped? We know that a car battery can electrically balanced by a battery charger will not discharge and its' metal will not dissolve to destruction. We can therefore 'impress' a current into a circuit to the control of corrosion and it is this principle which is applied to prevent the corrosion of steel pipelines and structures. This can be imagined as an unknown number of batteries with one common connection. The problem that has confused engineers, is how can we know when every one of the batteries has been stopped by a single battery charger. 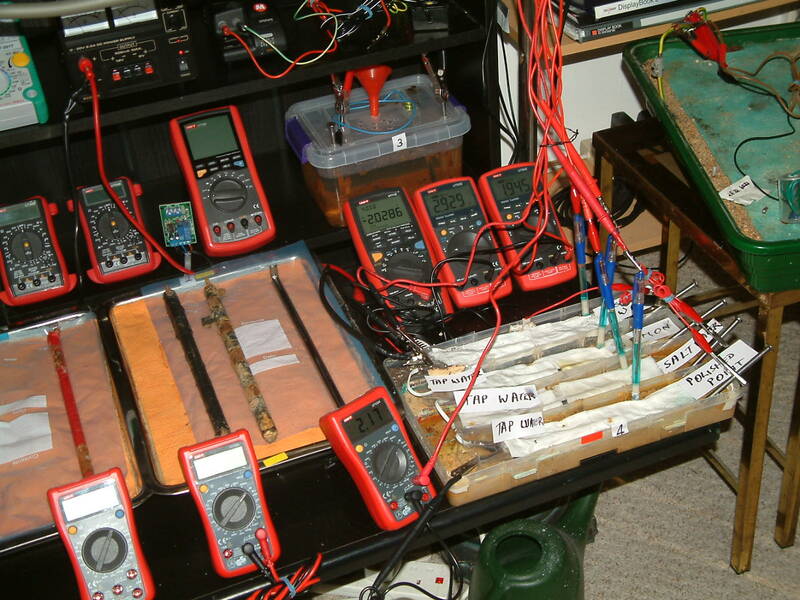 A battery charger has a light at every battery position or has an electronic sensor in the circuit for every battery. We cannot apply this principle to pipelines as we do not know where the coating faults are so we cannot put a sensor close to the pipe wall. It is no good placing a sensor anywhere other than where the corrosion is happenning, otherwise the measurement can be grossly inaccurate. that is equivalent to the measurements recommended presently by all codes of practice. Anyone can see that the reading on the meter is valueless. This means that the readings taken and used in cathodic protection calculations are valueless. This means that the pipelines near you might be about to explode. A gas pipeline in the UK has a working pressure of 600 psi. That is 20 times as great as the average car tyre. If it explodes, throwing debris in all directions, the resulting gas leak is so enormous that aircraft have to be diverted. Cathodic Protection Network can help prevent such a disaster using additional procedures that have been field tested over a period of 30 years. Despite proven and documented results, these additional steps have been deliberately rejected in the UK. The people who are blocking this technology are responsible for potential environmental damage, danger to life and waste of energy. They are having a more detrimental effect on society than terrorists.